These breathtaking City Skylines are perfect Christmas gifts for the home this holiday season. Breathtaking gifts for the home, these magnificent City Skylines are the perfect solution for office workers, executives, and family members alike. 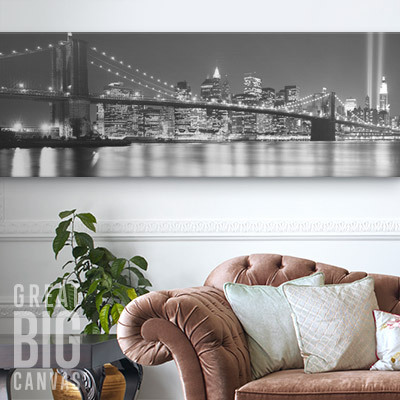 Marvelous cityscapes from around the world are set against dramatic skylines or beautiful scenery to create interesting conversation pieces that add character and interest to the ho hum areas of your loved one’s home or office. These high quality pieces bring your favorite cities to life, and are certain to become treasured masterpieces for years to come. Choose from famous city photos like the Brooklyn Bridge, Lake Michigan, the Hudson River, and more. The floating frames and framed prints are hand assembled to ensure that customers receive the highest quality artwork available. Select from skylines that are depicted on canvas prints, framed canvas prints, and wall peels to create just the look your home or office needs. A wide assortment of popular cityscapes to choose from including destinations like the Brooklyn Bridge, Lake Michigan and the Hudson River. Order yours today and enjoy up to 50 % off!